FREE family name (last) on back of monument purchased from the funeral $135 value. Spend $100 or more, receive a 5% discount. Additional 10% off of one item. $20 off any moonwalk or inflatable rental of $150 or greater. Limit one coupon per customer. Coupon must be presented at time of rental. $5.00 off any $15 purchase. Not valid with any other offers or discounts. Free 8x10 with any session. $0 enrollment fee. 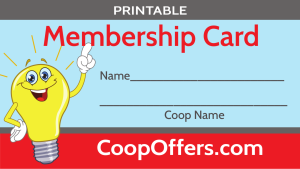 10% off monthly dues. 10% off any appliance over $100. $1 off any combo, every day and 10% off on Tuesdays and Thursdays. With any purchase of a 5 topping pizza get a FREE order of breadsticks.